A long time ago, when my hair was naturally dark instead of artificially blonde, some of my friends created a cushion person aka”Cousin Cushion Man”. We were easily amused in those days. As I hazily recall, he was brown, squidgy, and didn’t say a lot. The soft silent type. 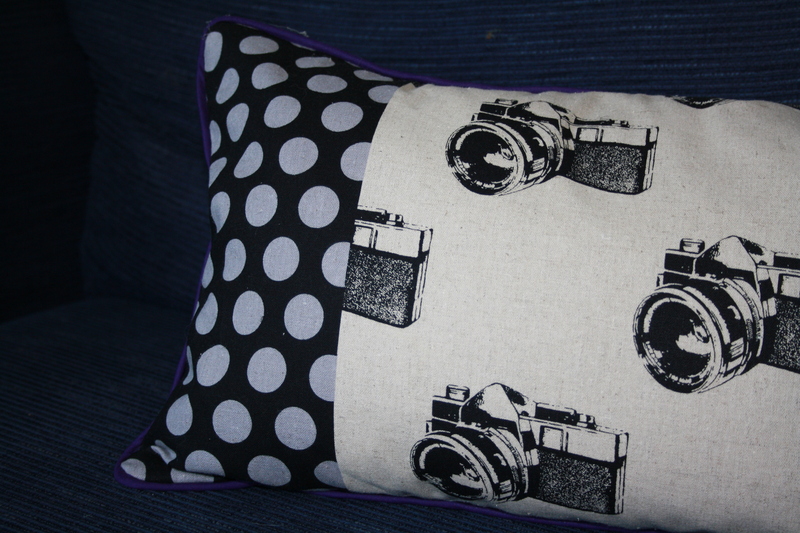 Anyway, I’ve dabbled in a spot of cushion making over the years – who hasn’t? 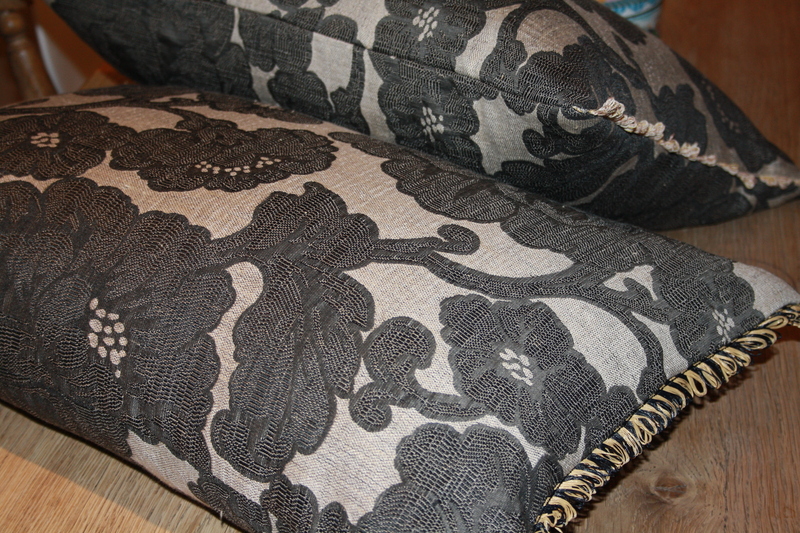 – and last week an old friend of mine asked me if I wouldn’t mind recovering a couple of cushions for her that were looking a bit sad and worn. My first foray into “unselfish sewing” in my new sewing Panda guise. 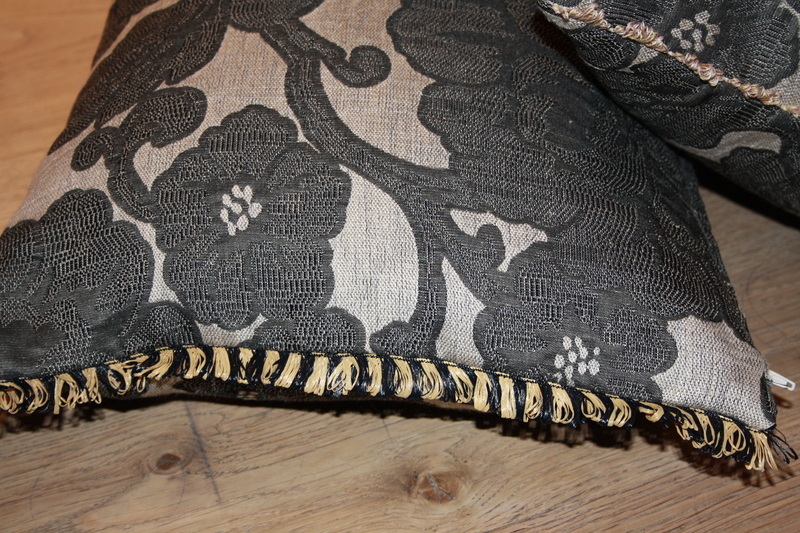 It wasn’t too bad, as cushion making goes: the trim was a bit fiddly (particularly the raffia one) and I had to finish off round the zips by hand as the material was too thick to fit under the sewing machine needle, but all looks OK I think. 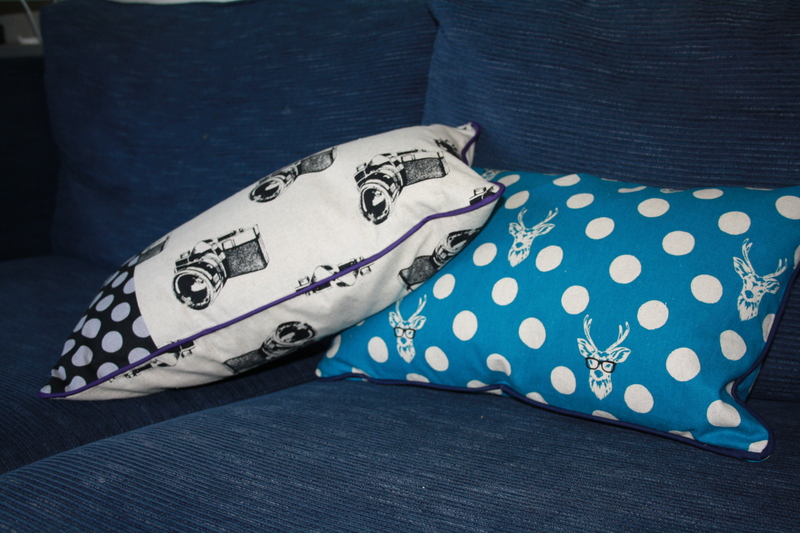 I even have a tip to share that I gleaned from a one day cushion cover making course at Lewis & Wood in Stroud I did a couple of years ago with my BF. I still feel a bit too newbie to be sharing tips, but as it’s someone else’s, it doesn’t really count. Anyway, she told us to make our covers slightly smaller than the size of the pad. Voila! What happens is that said cushion (particularly if of the feather variety) looks beautifully plumptious, instead of looking a bit floppy. Does that make sense? Use of terminology poor I know, but hey, it’s Panda Speak, catch up! Anyway all edges were overlocked inside, neat and tidy, tidy and neat (if you know your Mr Men). 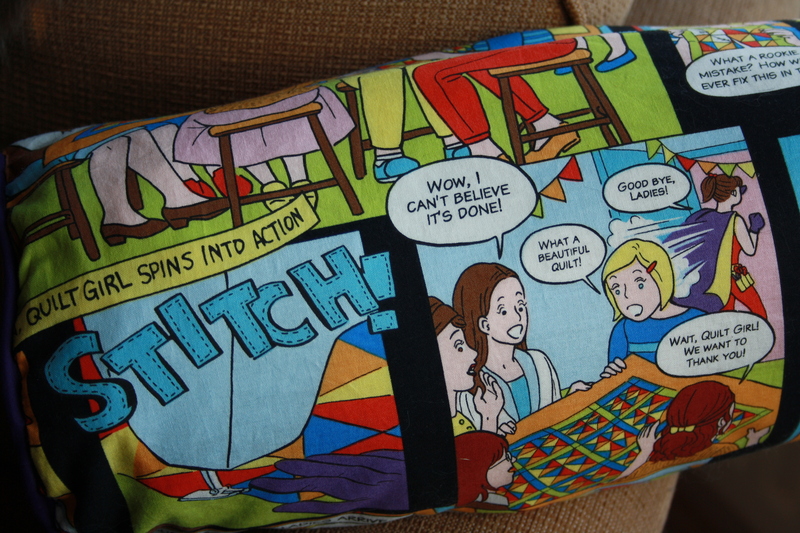 I like cushions: comforting and quite quick to produce even for a slow goat like me. Fabric has arrived from Plush Addict for Christmas project for the bairns, albeit two are taller than me, so it’s going to take a while (and, may I add, I’m not a midget, they’re just tall). 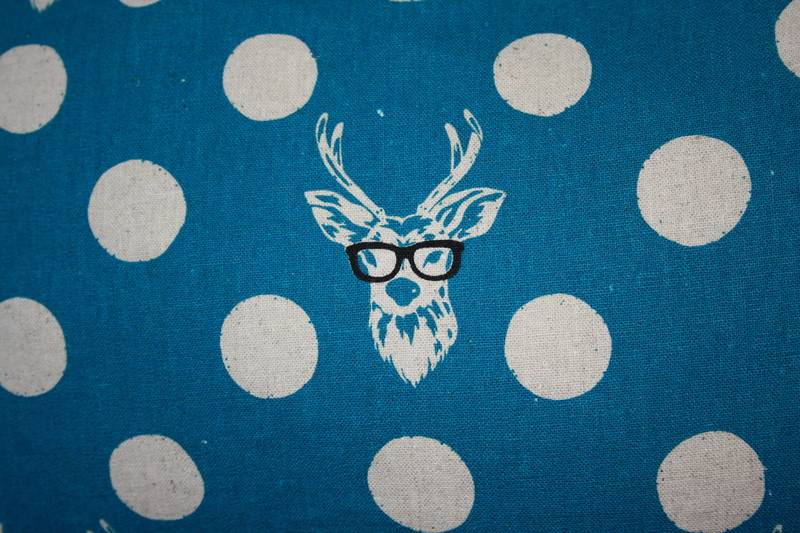 More fabric due to arrive this week from Ray Stitch for me to make the Factory Dress from Merchant & Mills. 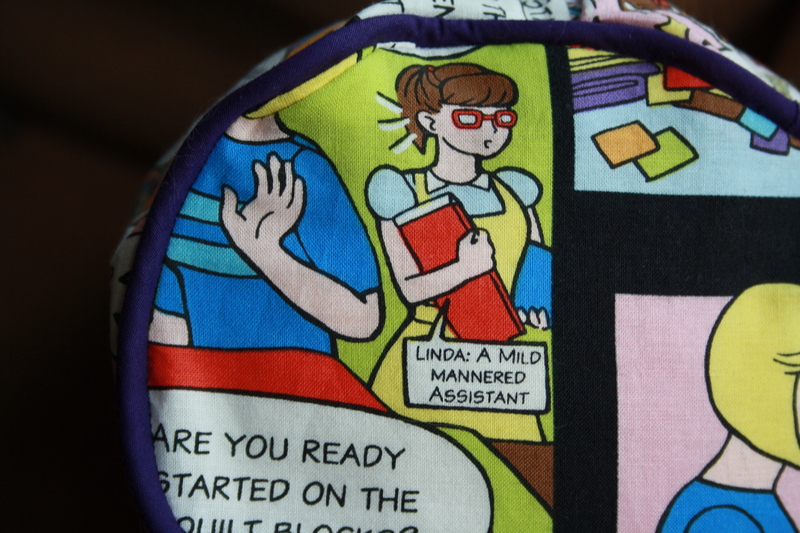 I was going to make my Anna dress, but I’m a bit scared having realised that the material I’ve bought needs LINING. Yikes. That needs a long run up on the Panda springboard of sewing. I’ll keep you posted. 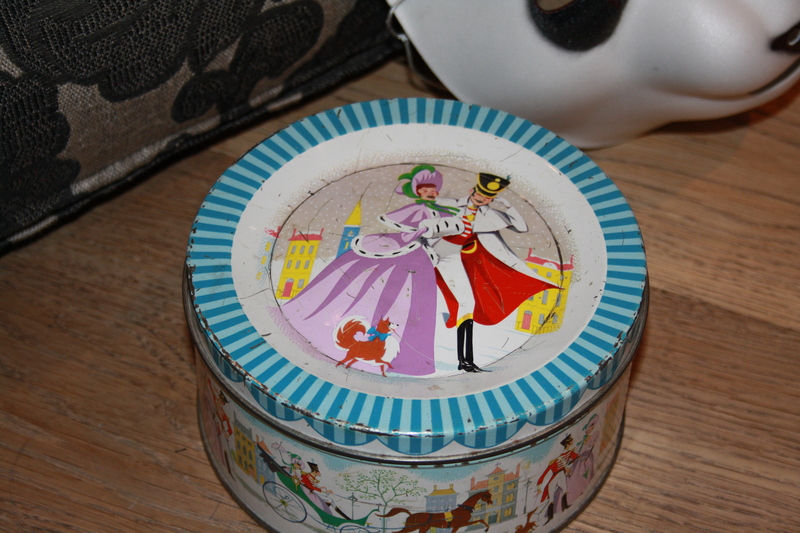 One last photo: my mama’s old sewing box, a Quality Street tin, circa 1960s. I love this tin dearly. There used to be a Dorcas pin tin that went with and was equally old with lovely old silver headed pins inside. Sadly, that’s gone. My lovely Ma has dementia, so does throw things away with some vim and vigour. I decided to rescue the sewing tin (with permission of course) before it disappeared too. My memories are made from this. Have a good week y’all.